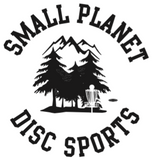 The newest Discraft material (2012). It has the durability of Z plastic with grippiness of the ESP plastic. ESP FLX is used on a limited number of discs. It is as durable as ESP Plastic, but much more flexible, this is achieved by adding a lightening agent to the ESP mixture. This type of plastic is extremely useful in cold weather conditions. ESP plastic is a highly durable line that was launched in 2006. This type of plastic is made to be very grippy while also being very durable. ESP plastic is non-translucent. Z Line plastic is known for its durability. The plastic is semi-translucent, very stiff, and very resistant to wear. This line of plastic is produced in a variety of bright colors. This plastic is slightly more overstable than, for example the ESP Plastic. X Line is very grippy plastic, but is more prone to wear. D Line plastic is the cheapest type of plastic, and is also the least durable. However, Pro-D plastic provides extremely great grip. Soft D Line plastic is a variation on regular Pro-D plastic. It is only used for putters, and provides a more flexible, grippy feel.